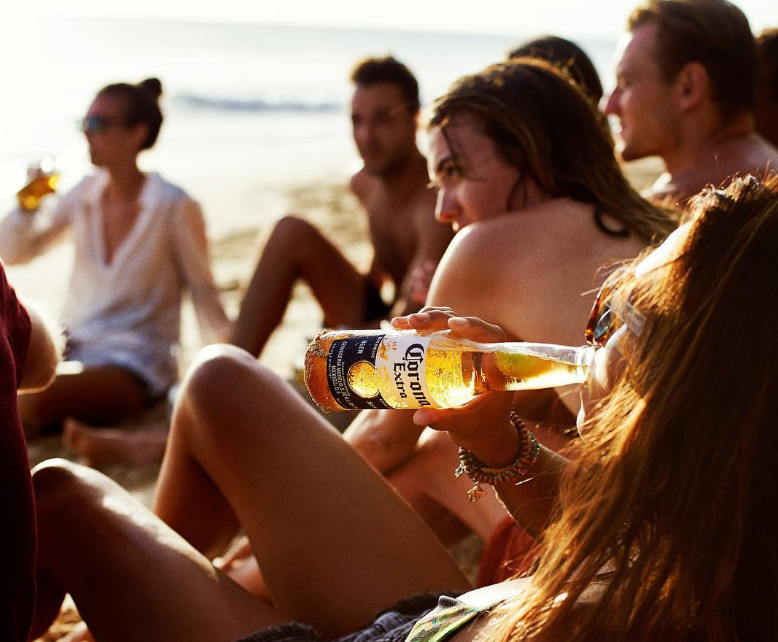 Corona Beer on InstagramThe beverage giant behind Corona is bullish on cannabis. Constellation Brands’ CEO Rob Sands is “extremely bullish” about the burgeoning cannabis industry. He defended the company’s $US4 billion purchase of a 38% stake in Canopy Growth on a call with investors on Thursday. “We’re not playing defence, we’re playing offence,” Sands said. The beverage giant behind Corona and Modelo is bullish about the future of the legal cannabis industry. “We’ve recognised the significant opportunity that the emerging cannabis space presents as potentially one of the most significant global growth opportunities of the next decade,” Constellation Brands CEO Rob Sands told investors on Thursday. Constellation, the third-largest beer company in the US, paid $US4 billion in August for a 38% stake of Canopy Growth, the largest publicly traded marijuana grower, to develop marijuana-infused beverages and other products. It’s the largest corporate investment in a marijuana cultivator to date. “We continue to be extremely bullish, if not more bullish, since we’ve announced the deal,” Sands said, adding that Canopy is well-poised to capitalise on the Canadian market when legal marijuana goes into effect on October 17. Canada will become the first G7 country to legalise marijuana at the federal level. “We’re feeling pretty good about Canopy’s position,” Sands said. According to Constellation, Canopy has secured 35% of the supply contracts for the Canadian market – which, according to the beermaker’s numbers – could become up to a $US7 billion industry in Canada. Sands also noted Canopy’s “significant positions” outside of Canada in countries like Germany and U.K. that are quickly moving to medical marijuana legalization. “There’s certainly a lot of talk that, eventually, there’ll be some form of decriminalization of marijuana at the federal level,” Sands said. Perhaps surprisingly, Sands countered data that showed legalised marijuana could affect beer and liquor sales. “We see no evidence whatsoever, especially in the United States, in the legal states, of alcohol cannibalization,” Sands said. Sands said Constellation didn’t invest in Canopy to shore up slumping beer sales.